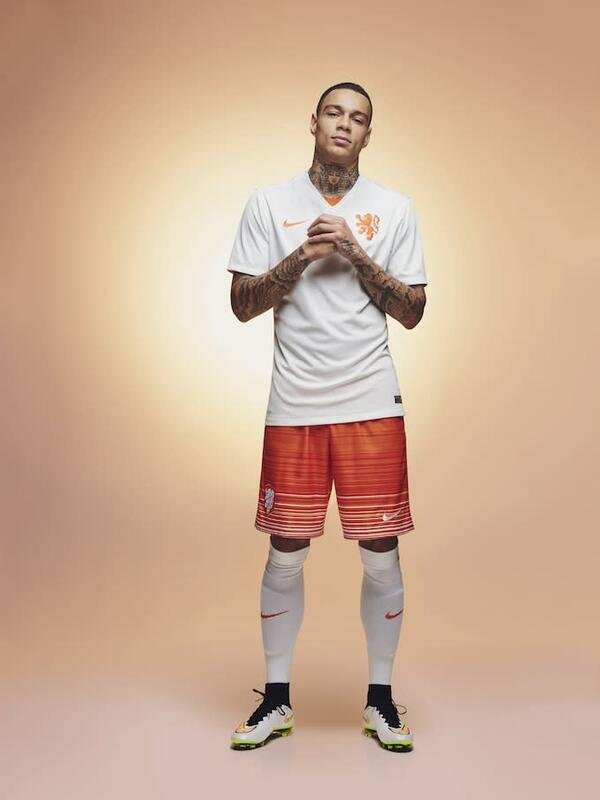 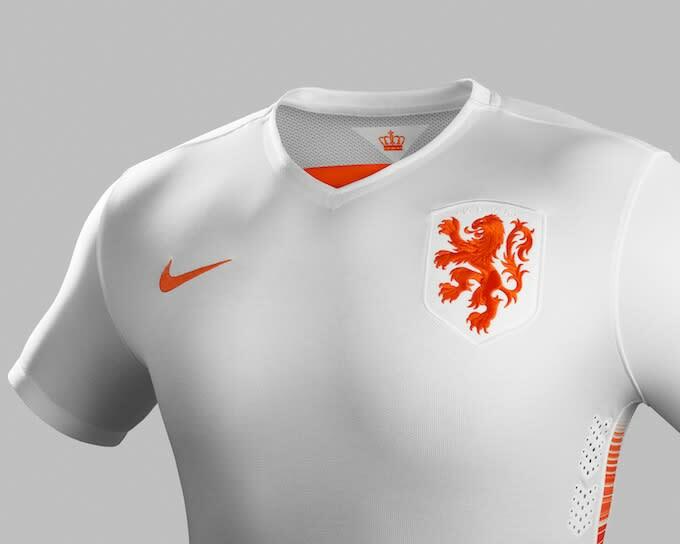 Nike has revealed the new away kits for Portugal and the Netherlands. 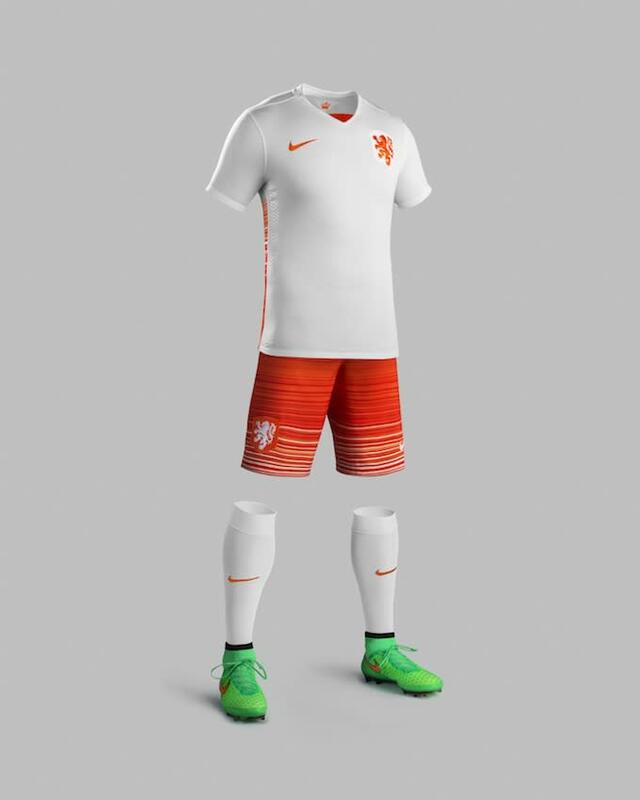 Both kits take the colours of the respective national flags and combine them with inspiration from their traditional playing styles. 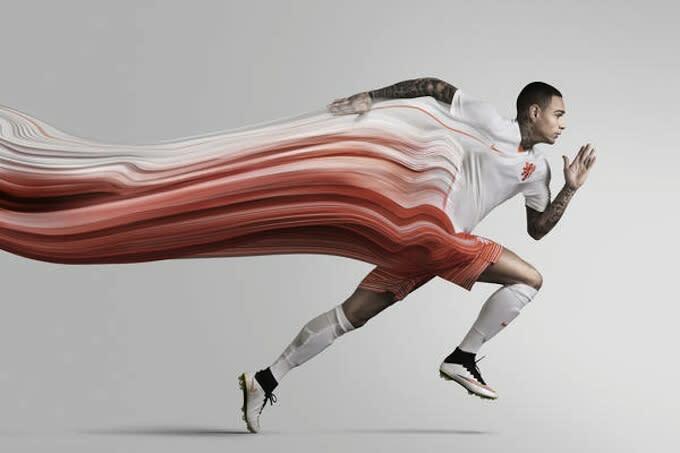 The Dutch kit design represents the speed, movement and energy of the national team. 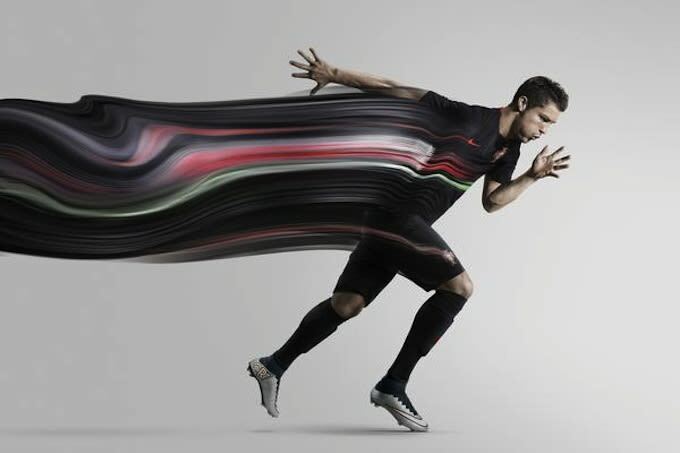 The shorts and side panels of the shirt feature printed speed gradient graphics that create a strong sense of motion. 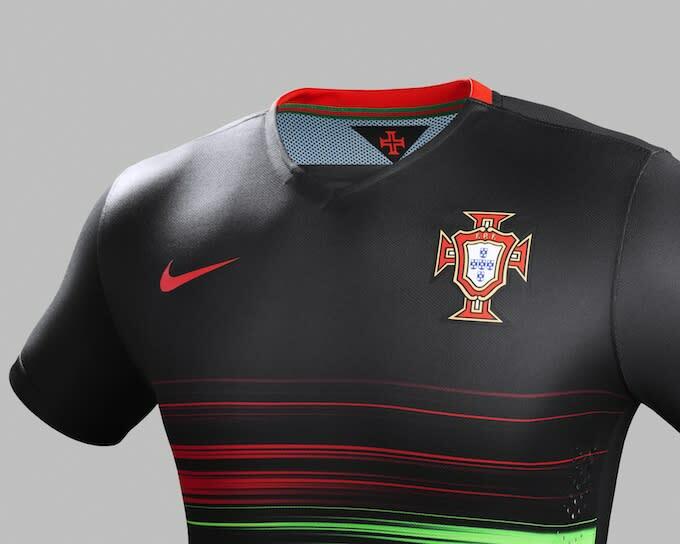 The Portugal shirt has a green and red speed graphic, reflecting the team’s fast-paced style of football. 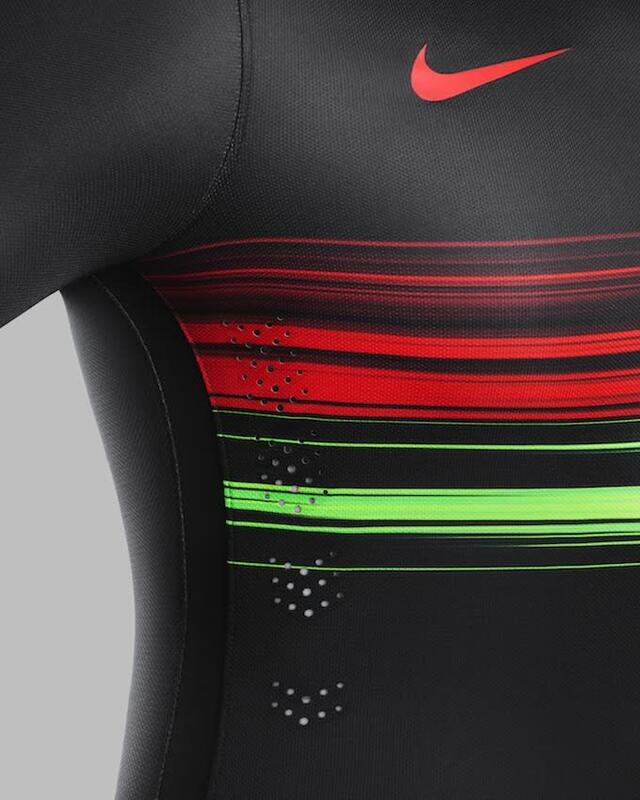 It also has a new Nike-specific streamlined, clean and modern V–neck collar in black with a red ribbed band at the back.